Cut cucumber, zucchini in small pieces. Chop parsley including the stems. Pluck mint leaves and discard stems. Place all the ingredients into a blender and run for 5 minutes. 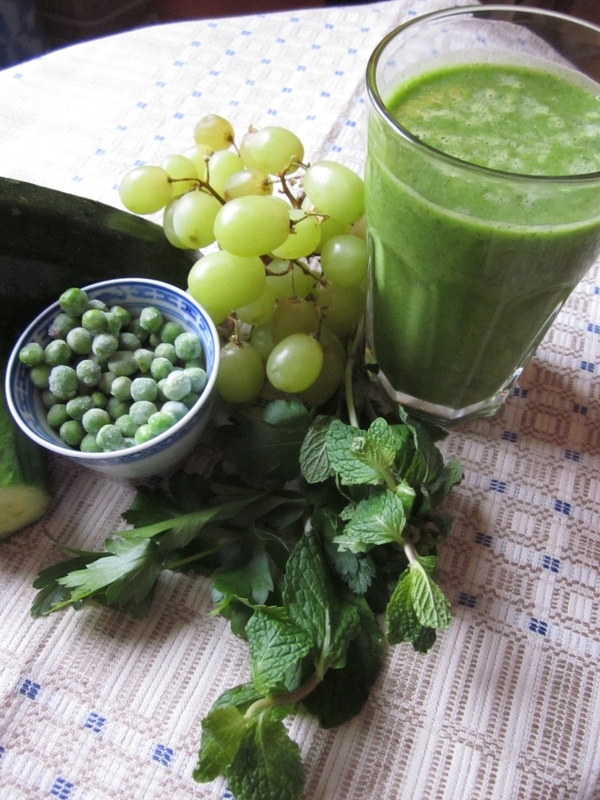 NOTE;This recipe is taken from my Smoothie Book which I am still working on.